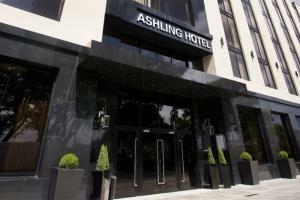 Ashling Hotel Dublin is centrally located to many of the city's best attractions, including the Dublin Zoo, Kilmainham Gaol, Guinness Storehouse and Collins Barracks. The hotel offers 225 luxurious guest rooms, a restaurant offering traditional Irish favorites and a stylish bar. Located in Dublin, adjacent to Heuston Railway Station and a twenty-minute walk from the city center. Chesterfields Restaurant - Irish cuisine; Dublin Hotel Iveagh Bar.